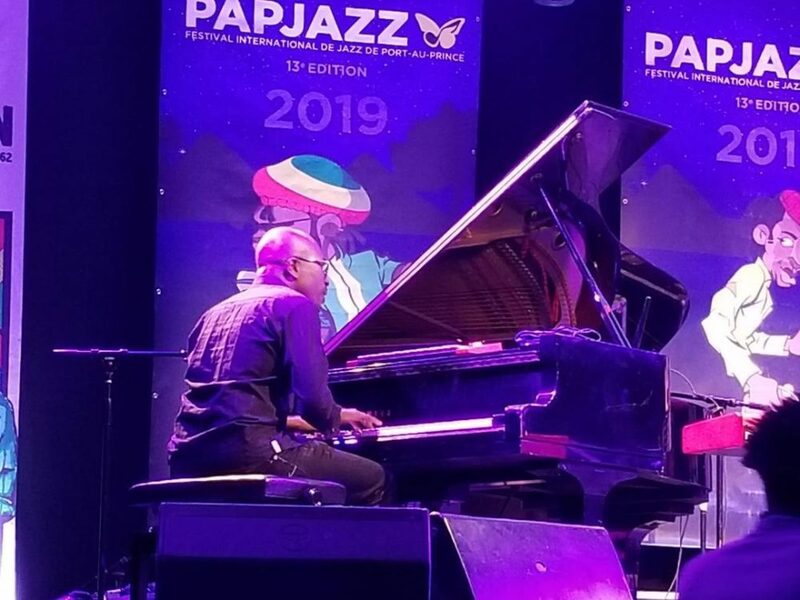 Arriving in Port-au-Prince, the capital of Haiti, four hours from the cold of New York City, we already knew that the 2019 PAPJAZZ festival was an event not to be missed. With the hospitality, the warmth of the people, the traffic along the way to the Hotel Karibe in Petion-Ville, the beautiful landscape, along with music and the good food waiting for us, we were looking forward to days of some of the best shows in Haiti. 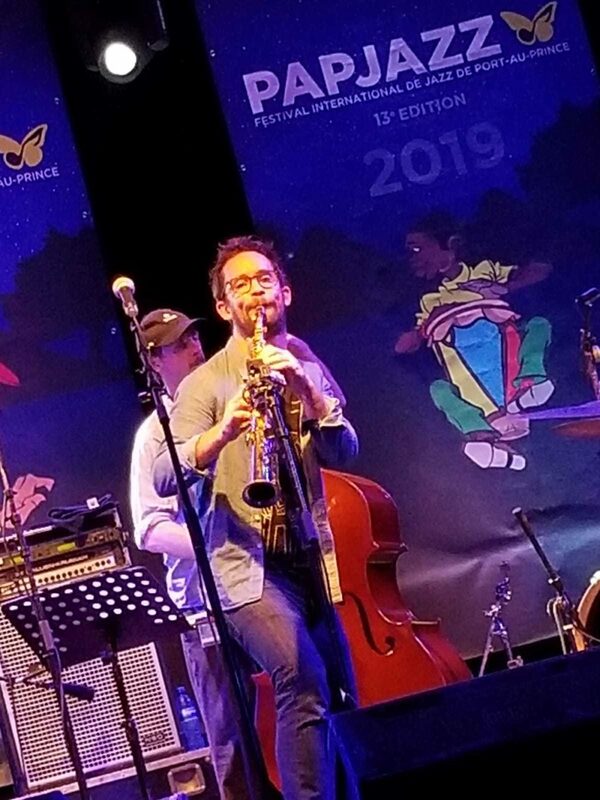 PAPJAZZ, officially named Port-au-Prince International Jazz Festival, is one of the largest festivals in the Caribbean. It is produced by Joel Widmaer, founder of the nonprofit Jazz Haiti Foundation, and longtime partner Milena Sandler. 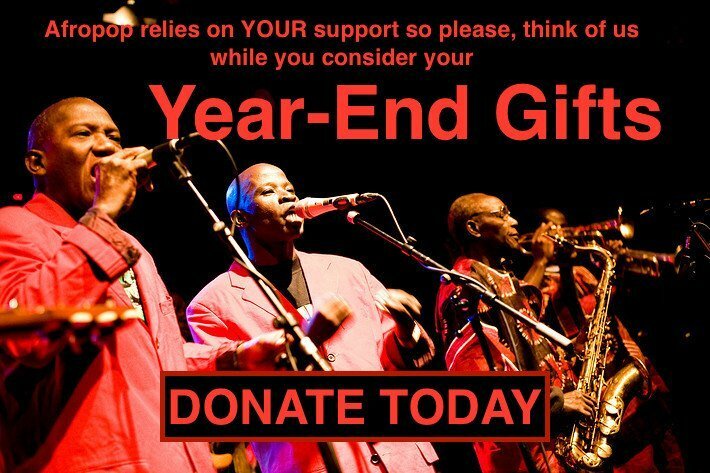 They have worked tirelessly to make PAPJAZZ one of the best-organized jazz festivals around. 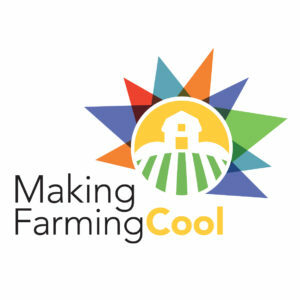 The 13th edition showcased artists from 17 countries. We were able to attend some of the best shows on three major outdoor stages (Hotel Karibe, Place Boyer and University Quisqueya), plus a few indoor venues including the French Institut and Salle Triomphe. All photos via the authors. This year's lineup showcased great artists like Terrence Blanchard from New Orleans; Cecile McLorin, one of the greatest jazz vocalists with roots in Haiti; Joss Stone, who included Haiti on her tour; pianist Denis Lapassion from Guyane along with master drummer Felix Salba Leco and incredible bass player Etienne Mbappe; saxophonist Emile Parisien from France; legendary pianist Ray Lema from Congo; fantastic violinist Chelsea Green from the U.S; singer/pianist Barbra Lica from Canada; Oscar Pizzano; Alex Mercado; Simbi from Sweden; pianist Laurent de Wilde; and great suprise-guest Haitian musicians. 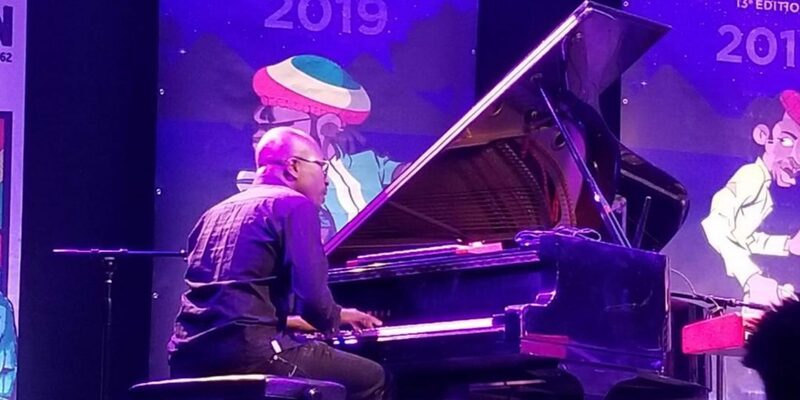 We were blown away by the performance of Paul Beaubrun and his quartet: the son of Lolo and Manzes, leaders of the Haitian group Boukman Eksperyans. He had the audience in his hand and was doing a mix of blues, jazz, racines (roots), reggae and African sound. He performed a new song “Gade Say Yo Fai Moune Yo" ("Look What They Did to The People) not yet released, as a treat for his fans. Some other shows that got the attention of the audience was a new star in the music industry, Phyllisia Ross, a great female singer who reminds me of Alicia Keys: she’s incredible and knows how to combine zouk-kompa with a jazzy feeling and, despite the rain, she kept everybody singing with her and had the audience enjoying themselves. More good music was on the table with the Kompa Flash group, back featuring two legends, guitarist Dadou Pasket from Magnum Band, who did a great version of "When A Man Loves A Woman," plus another guitar star, Robert Martino, from the unforgettable band Les Difficiles, at Place Boyer where over 2,000 people enjoyed the warm night and ambience. One of my favorite moments was the entertainment between sets courtesy of the rara band Follow Jah: It was festive and Carnaval. With your special drink, Barbancourt, the oldest and best rum in Haiti, you had to enjoy the great PAPJAZZ festival while dancing and could not be anywhere else at that time. It was a real Creole jazz moment greeted with so much appreciation from the public. PAPJAZZ also organized a few after-hours and big jam sessions every night during the festival at Quartier Latin, the Reservoir, Café 36 and L’Observatoire in Boutilliers, where we were able to enjoy more local musicians from Haiti doing some great jazz mixed with r&b. 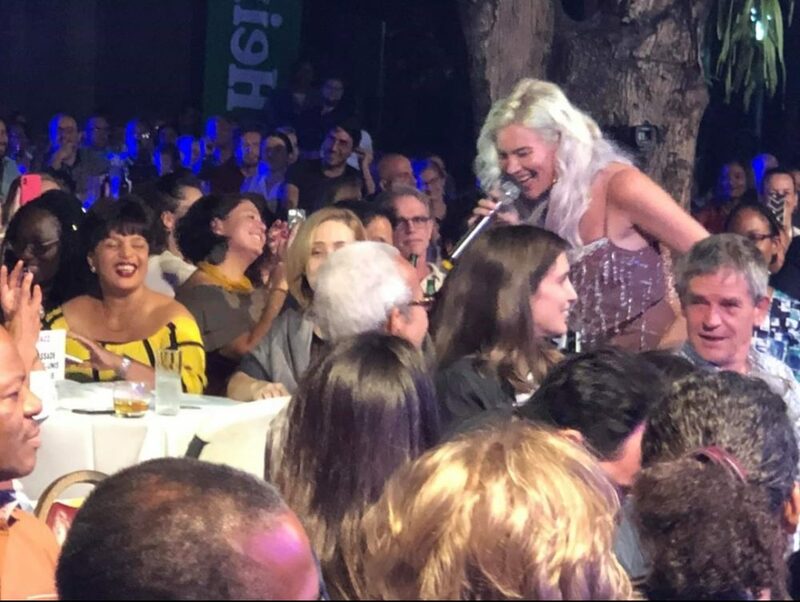 The last night at Hotel Karibe was a really beautiful finale with Joss Stone singing for the people and going into the audience for participation. 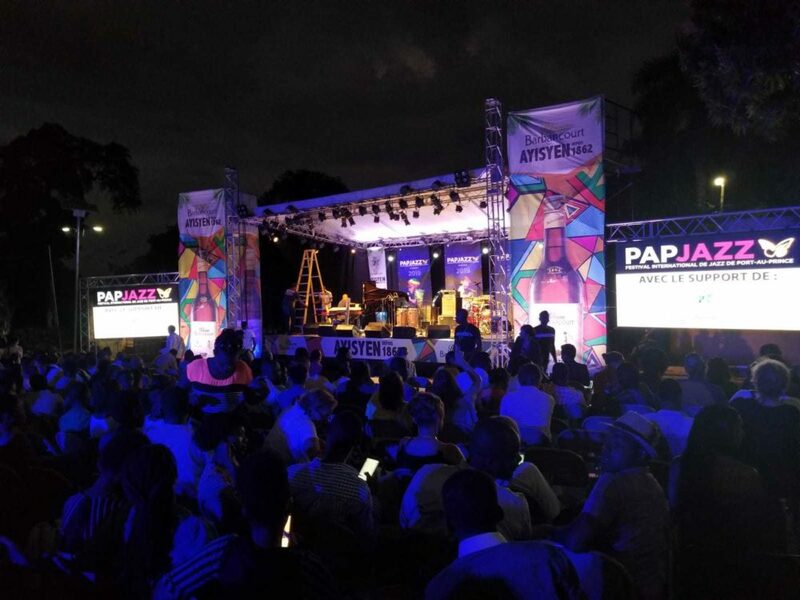 The annual PAPJAZZ festival definitely presents Port-au-Prince at its best.